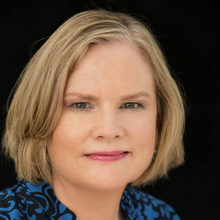 Carolyn Berger, LCSW joined Family Equality Council in 2018 upon its merger with Path2Parenthood. She is Founding Board Chair of Path2Parenthood and was on the board of the organization for over 25 years. During this time she created and chaired Path2Parenthood’s Adoption Advisory Council and sat on the Mental Health Advisory Council. She has a private practice in Westchester and New York City that specializes in Fertility, Adoption and All Forms of Family Building. She works with many couples and individuals including those who are building LGBTQ families. Carolyn began her career in the field of mental health, as a therapist at Flatlands Guidance Clinic in Brooklyn, where she worked with children, adolescents and adults. It was after the birth of her first son following a long struggle with infertility and a successful pregnancy, that she began her work at Path2Parenthood. Quite simply, she wanted to give back. Carolyn has spoken, written articles, and created workshops on the psychological/emotional effects of infertility. When her second son came into her family through independent adoption, she quickly became an adoption advocate as well. She has presented and run numerous workshops for Path2Parenthood and The Adoptive Parents Committee, an organization based in New York City. She is also active at the LGBT Center in Manhattan, facilitating their Parenthood Through Adoption group and speaking at their yearly Family Building Expo. Carolyn lives in Larchmont, just north of New York City. Through her own difficulties building her family, she found her career—helping others build their families.